This week the chaps came up to take part in a refight of Rocoux. Paul had again organised the scenario and orders of battle for the game and again brought his 15mm collection up to my place. 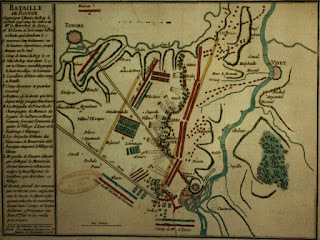 The French army was commanded by Marshall Saxe (Paul Stevenson, aided by Paul T) and the army of the Pragmatic Alliance by Prince Charles of Lorraine of Austria (Dave Jarvis) and the British General Sir John Ligonier (Conrad Cairns). Saxe had nearly completed his campaign to take Flanders and was threatening to invade the Netherlands The allies took up a position next to Liège with the Dutch under Waldeck on the left from Liège to Rocoux, the British and Hanoverians in the centre and the Austrians on the right almost to the River Jaar. 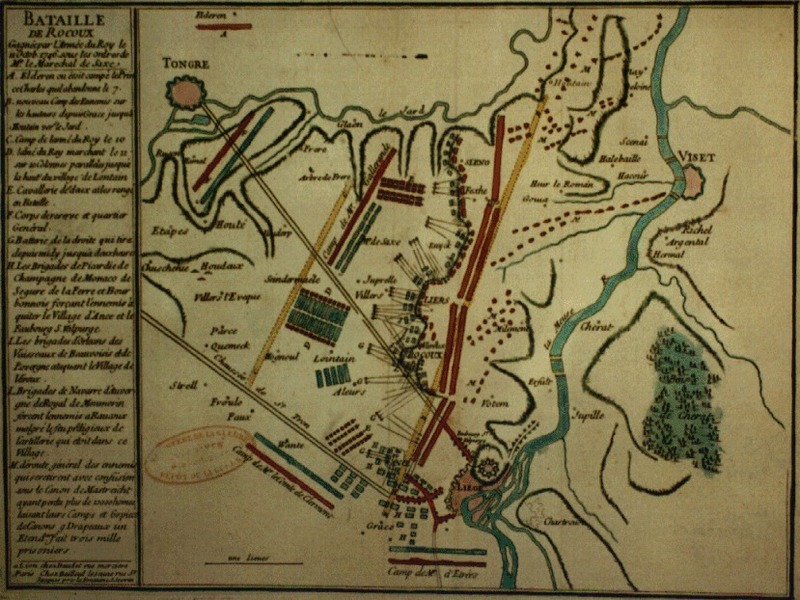 In the real battle the main French attack went against the Dutch who held the line between Rocoux and Liege. The Dutch were heavily outnumbered and after a stout defence were swept away. The Allied line began to give way while the Austrians made no attempt to against against the French left wing. The French were victorious but the Allies escaped destruction. The scenario allowed for 14 turns before nightfall. All the villages were classed as being fortified. If the Allies could hang on until the end of turn 14 then they would be able to claim a moral victory of sorts. 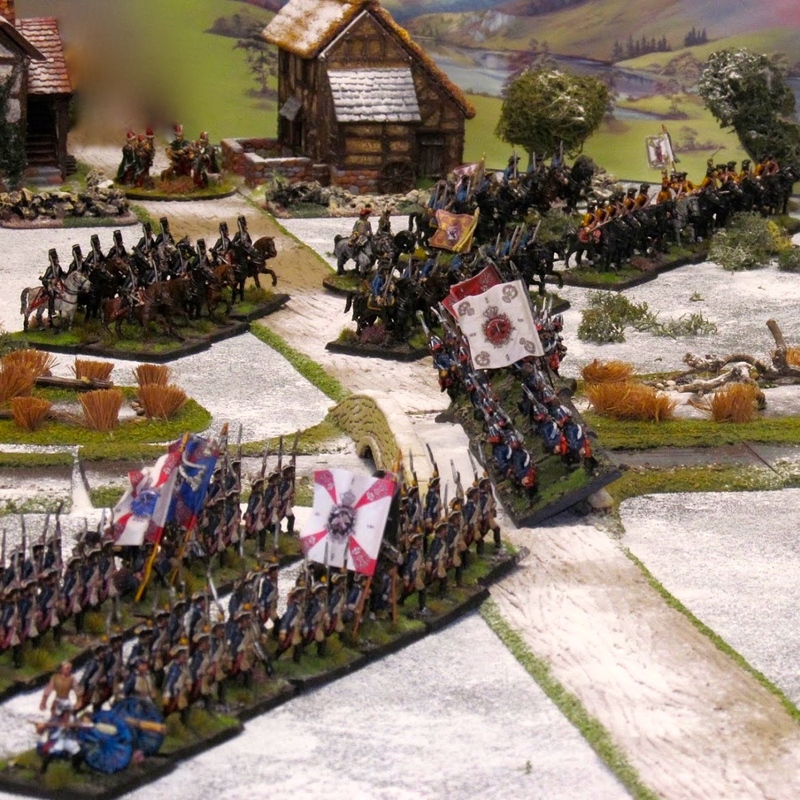 The Austrian contingent was not allowed to permit any French troops to get between it's right flank and the table edge as they were somewhat fixated by keeping their line of retreat open. Above, the field battle before the action commenced. Conrad scratching his head wondering what to do perhaps with his wing being outnumbered more than 2:1? The Allied centre....a very thin centre, anchored on the fortified villages. The Austrians on the Allied right who were to remain pretty much inactive the whole battle, but more through dreadful command rolls than any desire to do more than that just sit and wait. 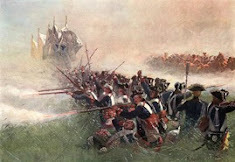 The French left, which was equally inactive and suffered from some excellent shooting by the Austrian artillery. Liege in the background with the Dutch stretching off into the distance. 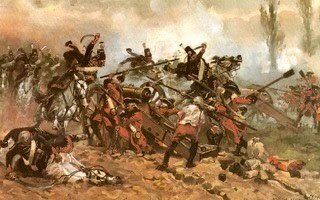 The English dragoons were pretty much the only reserve available to the Allies on that flank. The French centre, masses of infantry with horse in support. The French centre rumbles forward. While the English and Hanoverians in the Allied centre stand ready to see them off! Meanwhile the poor Austrians were getting into a right pickle and seemed unable to move. I think Dave planned to demonstrate against the French left but couldn't get moving. The French grenadiers approaching the Allied line. 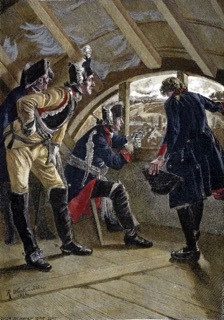 The first battalion of grenadiers assaulted the village but were forced to break off. 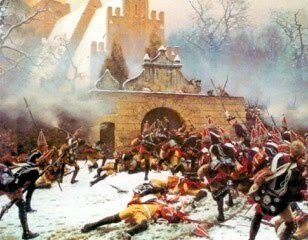 The second line of French assaulted the village. They too were bloodily repulsed and shattered. The supporting battalion was carried away in the retreat. Meanwhile, the French left was approaching the Dutch on the Allied left. An unfortunate sequence of initiative rolls resulted in the French gaining the upper hand. The Dutch just melted away in the face of overwhelming numbers, and the entire wing was broken in the course of two moves, leaving a very big gap in the Allied line. The French were now able to fill said gap and push on to the supporting Allied troops who were now outnumbered almost 4:1. But still they clung on to their positions in the villages. They were also able to bring fire to bear on the village from two directions, causing heavy casualties to the defenders. The defenders were forced to retreat as were those of the village to their left, thus exposing the entire Allied flank to the French. 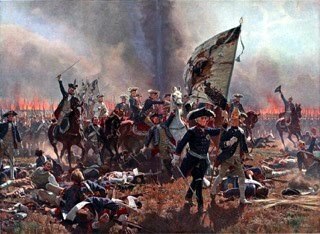 In the centre the French advance was almost halted by the Allies as the leading units were forced to retire through their supports, creating all sorts of problems, made worse by the highly accurate artillery fire from the Austrians who were able to enfilade the French lines. The situation at the end of turn 13. The Allies are clearly beaten but not destroyed. The English and Austrians were untouched as was all the cavalry but the position was now untenable. It was agreed that they'd be able to slip away in the approaching darkness as the French weren't in a position to stop them. The French claimed a victory (of course) and far be it for me to disagree ;-) as they game went pretty much the way of the original battle. So, great game which I hope everyone enjoyed. I did certainly. The Allies were faced with trying to do better than happened in the real battle, which maybe they did, just, but numbers prevailed in the end. I think the rules (Honours of War) worked really well again although I do have a nagging doubt as to whether artillery is a little too effective. Thanks to Paul T for putting in all the hard work of organising and setting the game up, and for everyone for coming up for another great day of gaming. Next time it'll be Laufeld, but in the meantime I am off to Carronade this weekend for a nice break in Bonnie Scotland. Nice game! Always great to see a large 18th Century game! Very interesting and well presented. It's great to see how well the 15mm units look to give the feel of a big battle, thank you. Do you have an OOB for this battle?